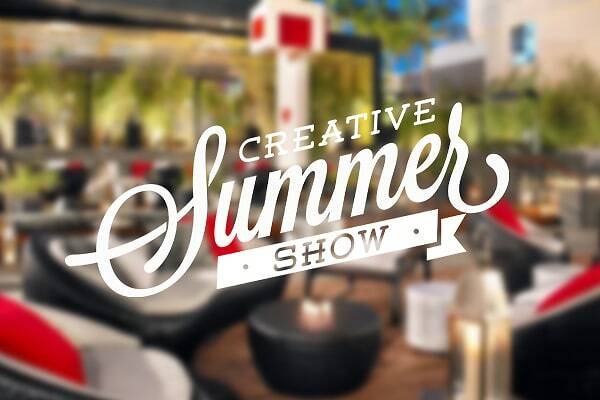 Last summer, we gave you the scoop on LOUIS Creative Workshop's summer art show in Hollywood, and they're back once again with their U.S.A. agency launch event, Louis Creative Summer Show on Thursday, Sept 4th (doors at 7pm) at the W Hotel in Hollywood—and you're invited! Keep reading to find out more info and how to RSVP. 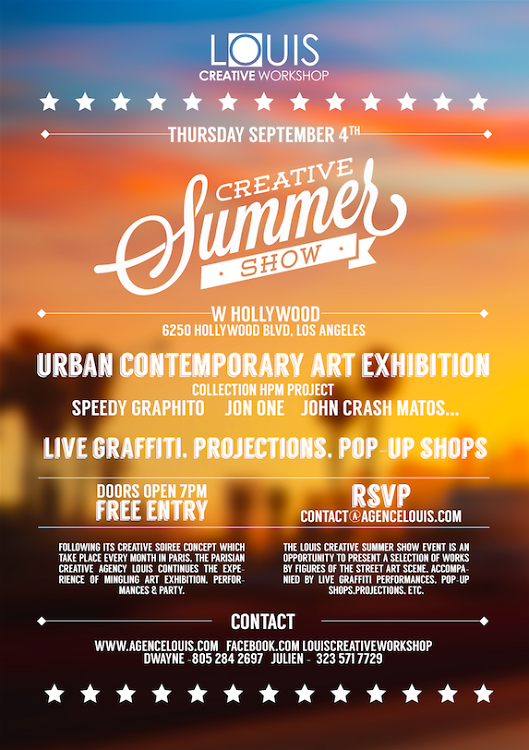 The agency holds a creative concept party in Paris every month, and will once again bring it over to Los Angeles, where Parisian street artists will take over L.A., including Speedy Graphito, JonOne (HPM Project by L.A. street art gallery Fabien Castanier) as well as live graffiti, pop-up shops, music and more. This event is in the vein of the STREETKUBE art venues that take place in Paris and are organized by LOUIS Creative Workshop. The past three editions of STREETKUBE have boasted more than 3000 visitors. For more info on the L.A. event, including a complete list of artists, click HERE, and click HERE to see a video from last year's event. The first 50 guests will receive a limited edition art print, so make sure to RSVP at contact@agenceLOUIS.com to reserve your space now.